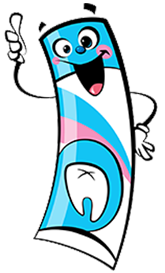 When looking for a dental home for your child, affordable dentistry for kids is an understandable concern. We will sometimes hear “Why fix baby teeth…. They are going to fall out anyway”. Primary teeth are important because they help guide proper eruption of the permanent teeth. They help maintain good nutrition with proper chewing and apart from this also with the development of the speech. Untreated baby teeth can affect the development of the permanent teeth. Why are regular dental check-ups required? Not treating the teeth can result in a patient with severe pain and possibly developing an abscess. An abscess is a “collection of pus that has accumulated in a cavity formed within a tissue because of an inflammatory process in response to either an infection process, usually caused by bacteria.” An abscess can be very dangerous leading to swelling and severe pain. Not having regular dental check-ups can be a costly affair. The best way to have affordable dentistry is to make sure that you have dental check-ups every six months. If there is a specific concern it is always best to have a recommended treatment plan sooner rather than later. For affordable dentistry, make sure you go for regular cavity restorations so that the cavities do not get worse.